It’s never too early to start reading to your baby or child. Reading, rhyming, singing and talking with your child is one of the best things you can do to give them a head start in school and life. 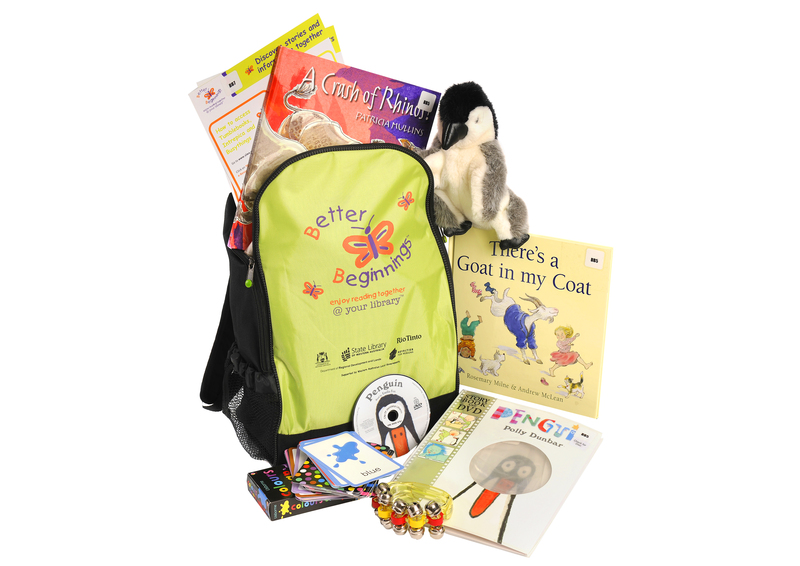 You can borrow Better Beginning backpacks and Read Aloud book sets from your City of Joondalup Library. Packs vary and will suit children of different ages up to five years. The Read Aloud book sets contain 10 books which are great stories for families to read together. 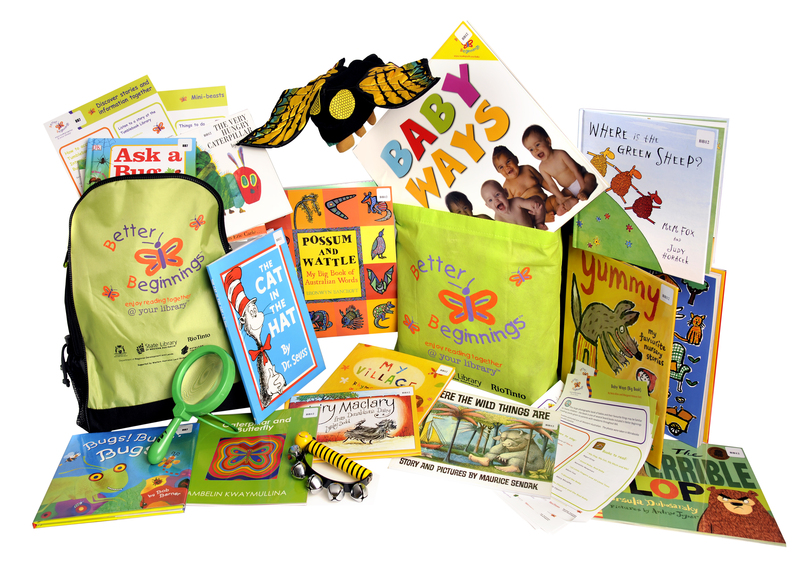 This kit includes a board book, information about reading to your baby and how to get involved in Library activities. 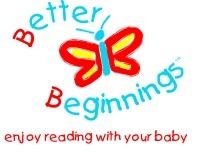 Parents can collect their free Better Beginnings reading kit from a City of Joondalup Library or from their Community Child Health Nurse. 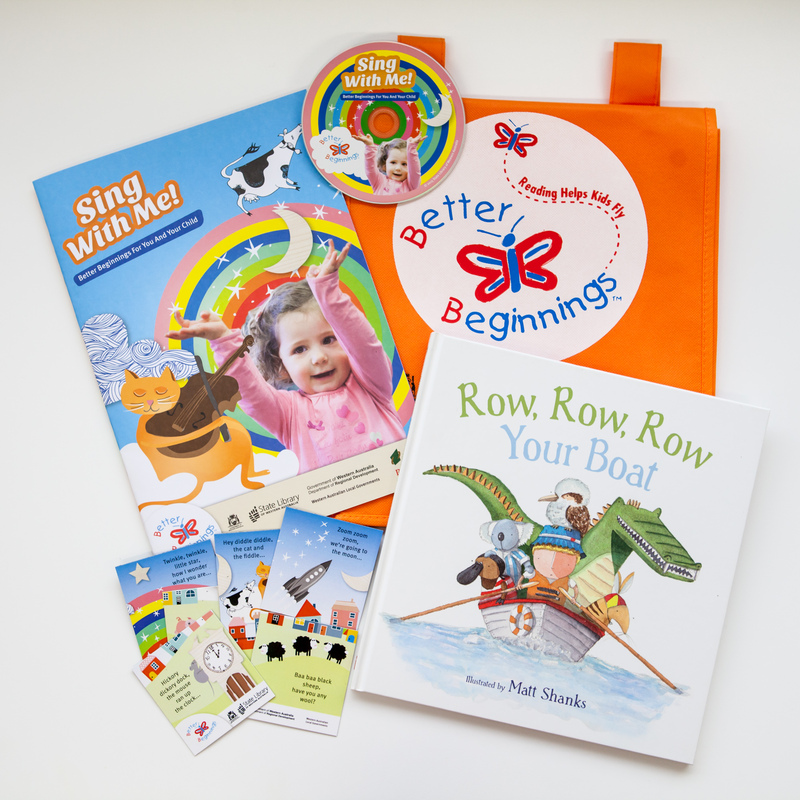 The packs include an Australian children’s picture book and a CD of nursery rhymes. Visit your local City of Joondalup Library to pick up your free Sing With Me pack. 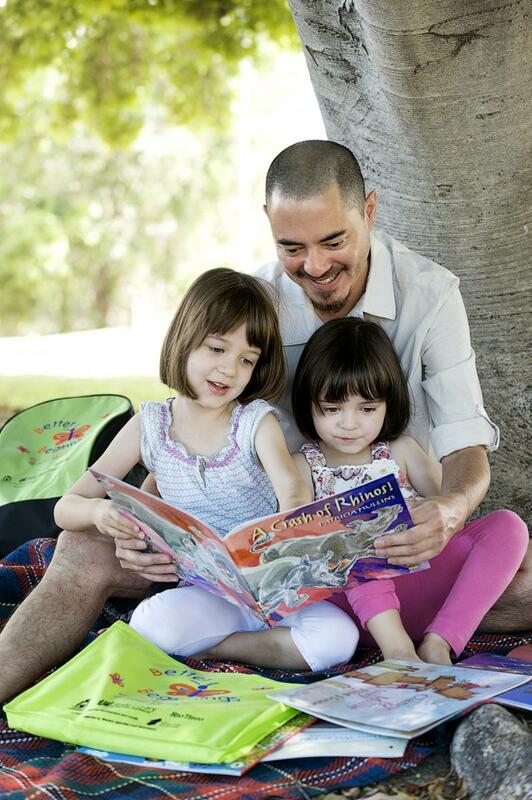 Each pack contains a free picture book that encourages families to read together. 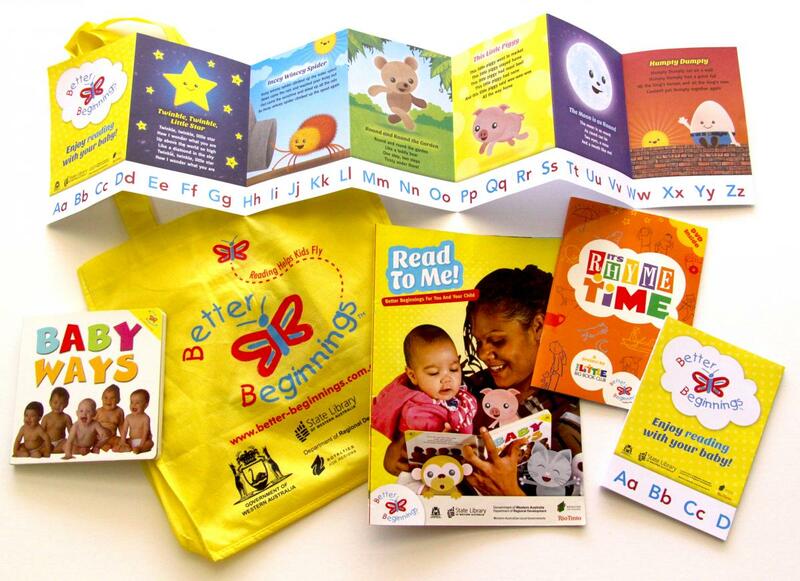 Your free pack is available only from your child’s Kindergarten or Early Learning Centre.